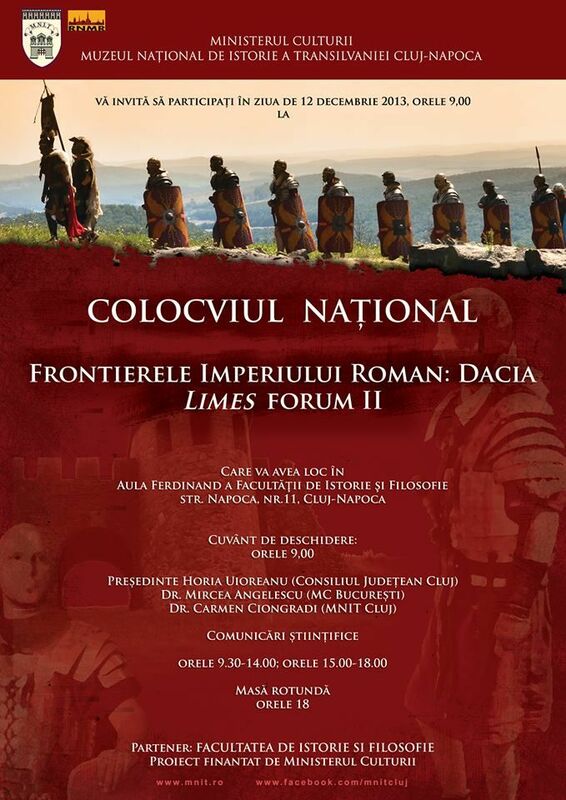 On the 12th of December 2013, a national conference entitled “Frontierele Imperiului Roman: Dacia. 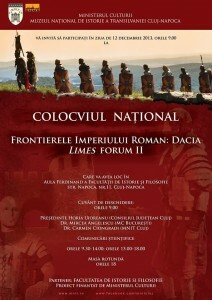 Limes Forum II“ (The Frontiers of the Roman Empire: Dacia. Limes Forum II), organized by National Museum of the Transylvanian History will be held in Cluj Napoca. A part of our team will also attend the conference. They will present the results of the recent archaeological investigation carried out in 2013.